Billy Crawford said that plans to do his next international album keeps on getting delayed because of his showbiz commitments in the Philippines. 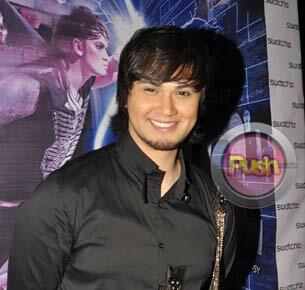 At present, Billy hosts Pilipinas Got Talent season 2, Showtime, and ASAP Rocks. “Hindi naman ako makaalis, hindi ako pinapayagang umalis ng PGT,” he said good-naturedly. “[May] Showtime pa, tapos [may] other commitments, we have shows, so medyo mahirap.” But he clarified that he intends to push through with his long-overdue international album once he finds time. Billy does not deny the fact that having the chance to work with girlfriend Nikki Gil is one of the things that make his stay in the country worthwhile. Nevertheless, he clarified that they are both supportive of each other’s ambitions.